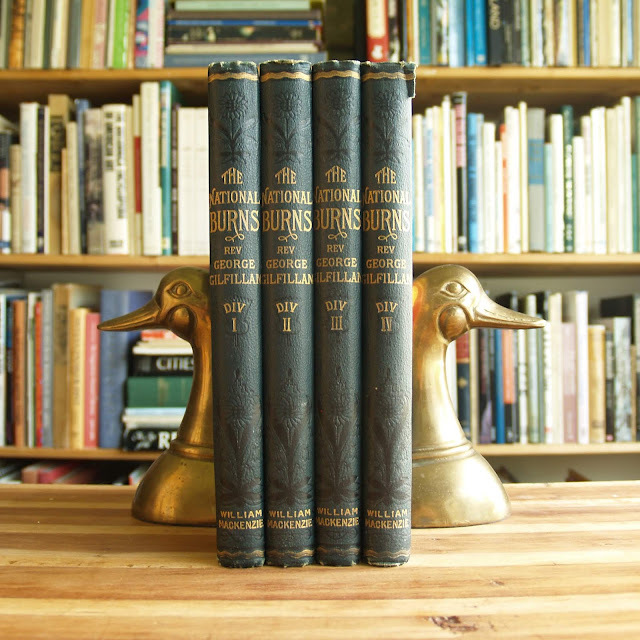 Beautifully bound four volume collection of the best of Robert Burns; poems, songs, and the era's finest illustrations. 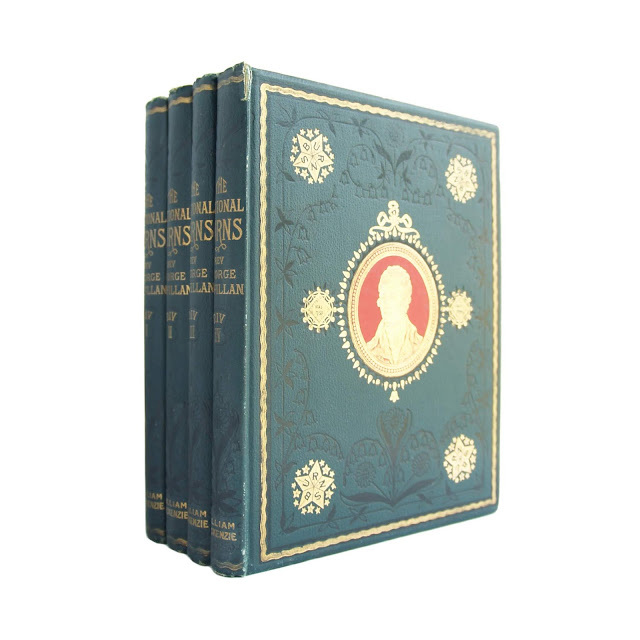 Each of the four volumes measure 8 x 10 inches, bound in green pebbled cloth with gilt decoration and lettering. Approximately 200 pages per volume. Front boards show a a portrait of Burns in gilt with a red background. Gilt all edges. 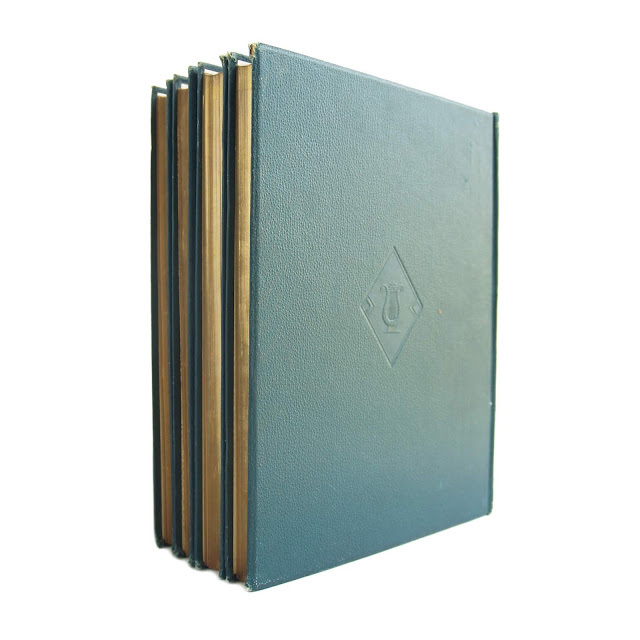 Books show some light edgewear, gilt faded slightly on some edges. 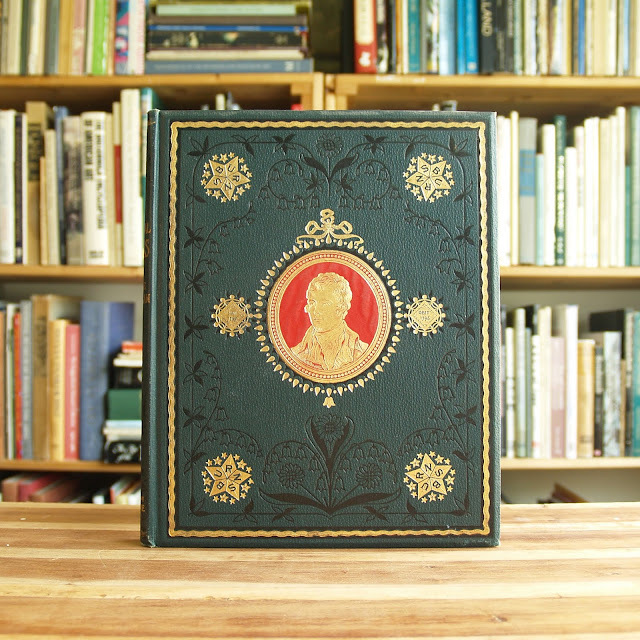 All have previous owner's bookplate on front endpapers. Rear hinge on volume two a bit shaken. Top of spine on volume four slightly chipped. A few loose signatures, books generally tight. 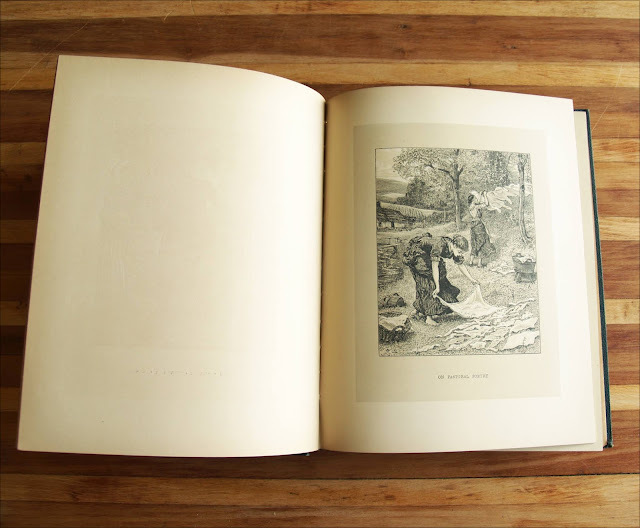 Light soil to endpapers. 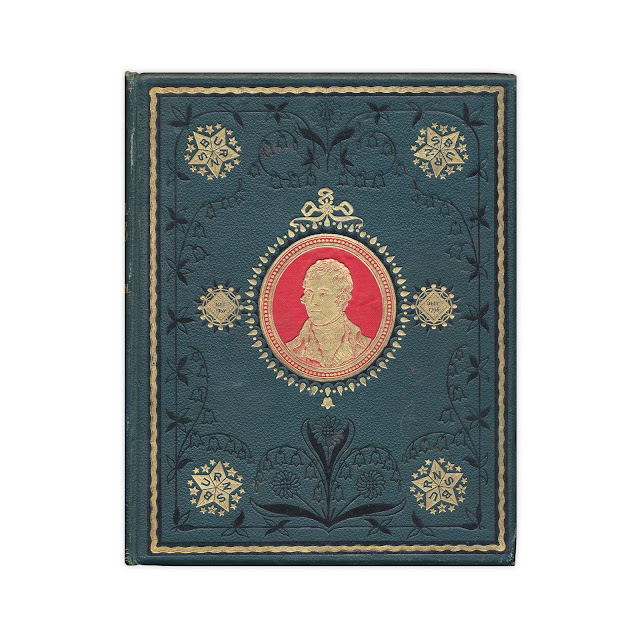 Bookseller's stamp from Charles Lauriat Co. of Boston. No date listed, circa 1880s. 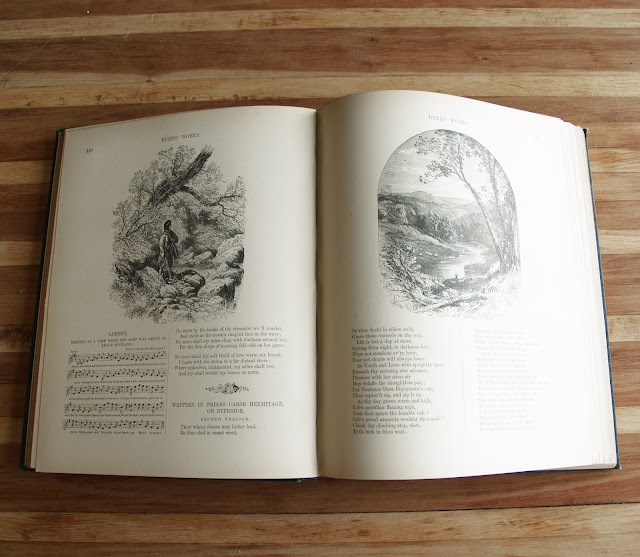 "To produce a complete edition of his works, worthy in all respects of our National Poet, has been the ambition of the publisher. In this attempt he had the good fortune to secure the co-operation, as editor, of a warm admirer of Burns, the late Rev. George Gilfillan of Dundee. 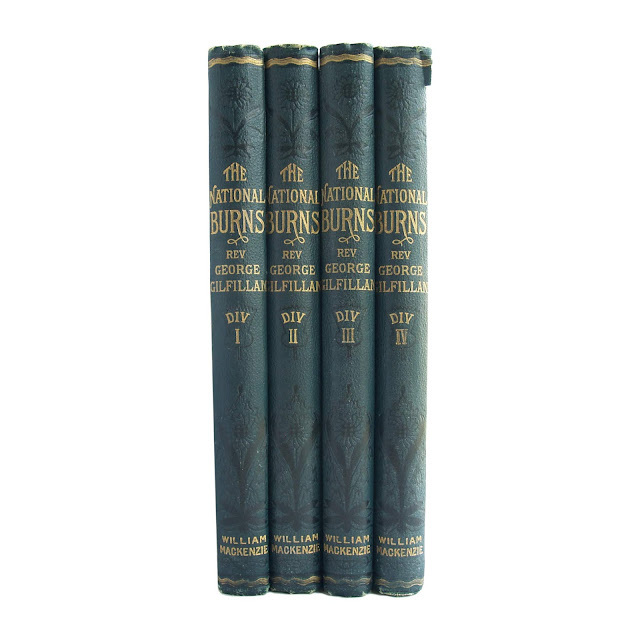 The Poems and Songs have been arranged in the text in chronological order, and a novel and important feature has been introduced by incorporating, in addition to the words, those fine old Scottish Airs, the preservation of which from oblivion was one of the great objects of Burns in writing for them his immortal songs."